The US Masters is the most popular major golf tournament for punters all around the world. Not only does it provide great entertainment, but the markets available are near endless and the odds are always generous. With hundreds of betting options available each year, the Masters is a perfect platform for big spenders and casual gamblers alike. An outlay as small as $1 could turn a big profit. That’s the beauty of betting on golf, especially when the tour heads to Augusta each April. Where do you go for the best odds on the US Masters? There are now thousands of sports betting sites to choose from, so separating the wheat from the chaff is not always an easy task. Lucky for you, we at BettingPlanet.com have done all the hard work. Every bookie featured on this website is a bona fide operator that offers exhaustive betting options for the Masters Tournament. Most importantly, all are licensed by recognised online gambling regulators and tick every box for value, quality and security. For punters in United States, we highly recommend the sportsbooks shown above. Follow the links to sign up and start betting, and make sure you check out all the featured sites to ensure you get the best odds on every market. The Masters is the brainchild of legendary amateur Bobby Jones and businessman Clifford Roberts. Following Jones’ retirement from competitive play in 1930, the pair teamed up with renowned course architect Alister Mackenzie to transform a former nursery in Augusta, Georgia into a golfing paradise. Augusta National Golf Club opened for play in January 1933 and hosted the first Masters Tournament (originally the Augusta National Invitational) a year later. The event was an immediate success, attracting the top professional and amateur players from all over the world. Jones himself came out of retirement to play on several occasions, which helped foster enormous public interest in the tournament. The Masters exploded after World War II, when the success of stars such as Jimmy Demaret, Ben Hogan and Sam Snead established the tournament as the most glamorous in all of golf. That reputation was only enhanced during the ’60s and ’70s, when all-time greats Jack Nicklaus, Arnold Palmer and Gary Player dominated the honour roll. Then came the age of Tom Watson and Seve Ballesteros, of Bernhard Langer and Nick Faldo, and of the many and excruciating near misses of Greg Norman. As an exclusive club in America’s deep south, Augusta National has always had a dicey relationship with racial discrimination and gender equality. Yet it was here that Tiger Woods broke through for his first major in 1997, and where former White House heavyweight Condoleezza Rice has held membership since 2012. Long gone are the days when it was a requirement for players to enlist one of Augusta’s all-black caddie staff. While the course and the prize pool have grown significantly over the years, the Masters field remains the smallest of all the majors. Only 87 invitees teed up at Augusta in 2018, compared to the 156 that qualify each year for the US Open, the British Open and the USPGA Championship. The total purse now stands at a whopping USD $11 million, nearly $2 million of which is reserved for the winner of the green jacket. It should go without saying that this is the biggest of all the Master betting markets. Bookies run odds on next year’s title almost as soon as the green jacket touches the current champion’s shoulders, so punters who get in early can take advantage of loose prices on players who might be peaking when April roll around again. It is well worth scouring the market for value, because left-field winners are no rarity at Augusta. Canada’s Mike Weir was at long odds when he defeated the similarly unheralded Len Mattiace in a playoff in 2003; none of Zach Johnson, Trevor Immelman and Angel Cabrera were among the favourites when they each saluted between 2007 and 2009; Danny Willett was a bolt from the blue in 2016, and so was Sergio Garcia a year later. Every year bookmakers release a wide variety of betting options, which include odds on selected players to be the best performed from their country of origin. This type of betting option allows punters to bet on a wide variety of players who might not win the tournament, but who are a good chance to beat a selected group of players. Bookmakers run markets for top European, top American, top Asian and top Australasian players. Due to the larger number of candidates compared to individual nations, the odds are often higher in these categories. These are two of the more popular day-to-day bets that people make throughout the tournament. The Masters groups are usually in three’s, before becoming pairs on the weekend, therefore punters must select the winner out of each group – lowest score wins. If you place a bet on Tiger Woods, you would need Woods to outscore his two opponents for the round selected. In the case of a tie, the dividend is halved. This option is popular because you can have a wide variety of bets, on numerous players, and not put all your eggs in the one basket. It also makes viewing more enjoyable as you can have multiple bets going at the same time. Head-to-head betting is picking between two players, set by the bookmakers, to outscore one another over the entire tournament. The bookmakers will often pair players based on their skill level and the odds will usually be very close. This betting option takes very little thought, which appeals to many punters, as you only need your player to beat another. Woods would only need to finish in a higher position than Mickelson for your bet to cash. If Woods makes the cut and Mickelson doesn’t, your bet will be paid out once the cut is made official, which makes this a popular option for punters wanting a quick return. To make the cut – Your selected player must make the top 50, plus ties, in order for this bet to cash. Prices are usually on the lower side, especially for the well-fancied players, but this is a good option for either those wanting to boost their parlay (multi-bet) result, or punters who have taken an extreme outsider to make the cut. A hole-in-one made – Bet on whether there will be a hole-in-one throughout the tournament. The price for ‘Yes’ is typically around the 9/1 ($8) mark, whereas ‘No’ is almost unbackable at $1.05. The official chances of scoring a hole-in-one sit around the 12,500/1 mark, but there can be one thrown into the mix at the Masters. Margin of victory – This option makes the final day even more exciting. Bet on what the winning margin will be – whether you think it will be decided in a playoff, by one stroke, two, three or four. The variety of options make this a profitable bet if it comes in. Winning score – Punters are betting on what the final winning score will be. The bookmakers will set a pre-tournament market for this option, usually around the eight-under region for winning score, but will revise the market throughout the tournament. Bet on whether the winning score will be higher, or lower than what the bookmakers have set. 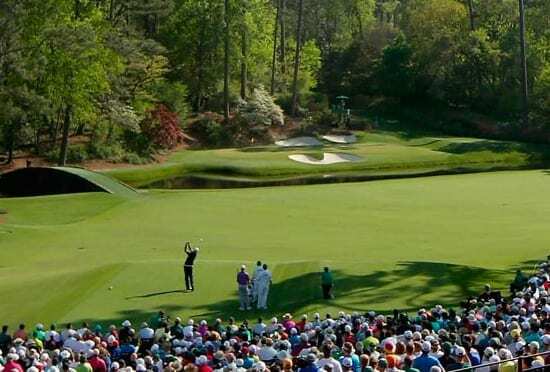 The Par 3 Contest takes place the day before the first round of the Masters and is often a relaxed, family-filled competition where players take a lighthearted approach. That doesn’t mean you cannot bet on it, although there are usually only a handful of players who take it seriously. Most of the winners are excellent short-game players, which makes the Par 3 Contest a handy betting option for those who study the form. A rule of thumb is to avoid anybody anyone who is likely to have children or relatives with them on the course. Occasionally an old favourite will salute – as Tom Watson did in 2018 – but current tour players are the way to go. There is another, very significant reason to pay attention to Wednesday’s action. Since the first edition of the Par 3 Contest in 1960, not one player has taken out the title and gone on to win that year’s Masters Tournament. Plenty have taken both crowns on multiple occasions, including Augusta legends Sam Snead and Arnold Palmer, but never in the same week. The lesson is clear: if one of the favourites for the Masters ends up winning the Par 3 Contest, don’t even think about backing them to take out the main event. Today’s Augusta National bears only a passing resemblance to the course Bobby Jones and Alastair Mackenzie laid out back in the 1930s. That original design was heavily inspired by the linksy quirks of the Old Course at St Andrews, but what we see now is an all-American goliath that plays nearly 7,500 yards from the tips and requires a strong aerial game from start to finish. So then: what separates the best from the rest at Augusta? Power from tee to green is essential, but superior shot-shaping skills are more important still. The greens are among the smoothest and slickest in the world, so you can rule out any player who doesn’t have their short game dialled in. Most of all, you need nerves of steel and the humility to take your medicine. #10 – Camellia – Par 4, 495 yards: Perry Maxwell, of Prairie Dunes fame, was among the first to tinker with Jones and Mackenzie’s layout at Augusta. The most enduring of his alterations came on the old opener, where he decided to move the green back to a hilltop that overlooked the old putting surface. The result is a monster of a hole that almost always features in sudden-death playoffs. #12 – Golden Bell – Par 3, 155 yards: The shortest hole on the course is also the most beautiful, the most famous and perhaps the most deadly. Swirling winds, a tiny green and the obvious threat of Rae’s Creek put an absolute premium on club selection. It was Golden Bell that destroyed Greg Norman in 1996, and where Jordan Spieth unravelled in spectacular fashion 20 years later. #13 – Azalea – Par 5, 510 yards: Risk and reward in equal measure – that’s what makes a great par five. Water plays a starring role again at 13, meandering all the way up the left side of a sloping fairway before crossing in front of an angled green that asks all sorts of questions on the approach. A well-struck iron could get you an eagle, but despair awaits those who bite off too much.